The Church Periodical Club is an independent, affiliated organization of the Executive Council of the Episcopal Church. Its work is dedicated to the worldwide ministry of the Printed Word and to the promotion of Christian ministry. 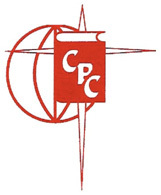 Church Periodical Club (CPC) was founded over one hundred years ago by Mary Jane Fargo in order to provide enrichment for lonely missionaries on the frontier. Prayer Books, books for seminarians, educational materials, medical textbooks, agricultural manuals and books for those in local and global mission are some of the publications The Church Periodical Club supplies. The Church Periodical Club operates at all levels of the Church - national, provincial, diocesan and parish. Two components of the CPC are the National Books Fund and Miles of Pennies. Detailed information about the program is available on their website. Donations to the Church Periodical Club (CPC) should be sent to the ECW-EDOW office using the form below. Questions and requests for additional information including applications for the National Book Fund or for Miles of Pennies should be directed to Angela D. Atkins, CPC Coordinator at (202) 652-8060 or email her at ecw@ecw-edow.org.